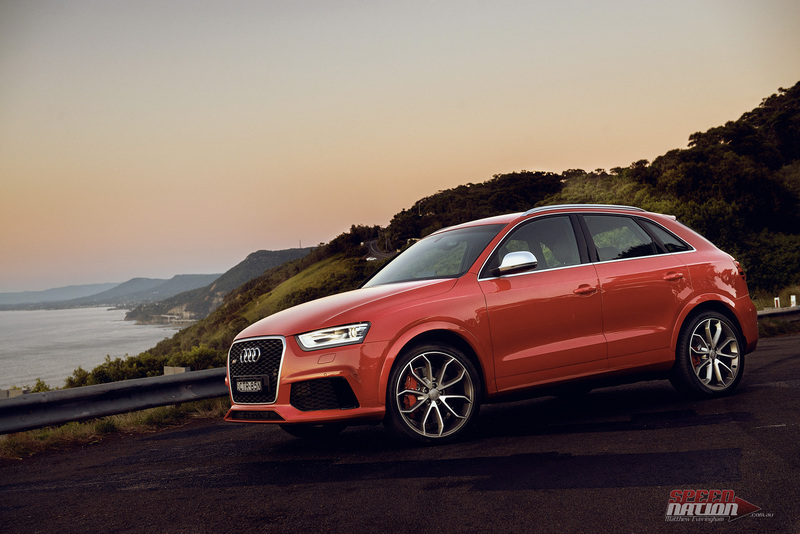 You could be forgiven for not having heard of the new Audi RSQ3 before. 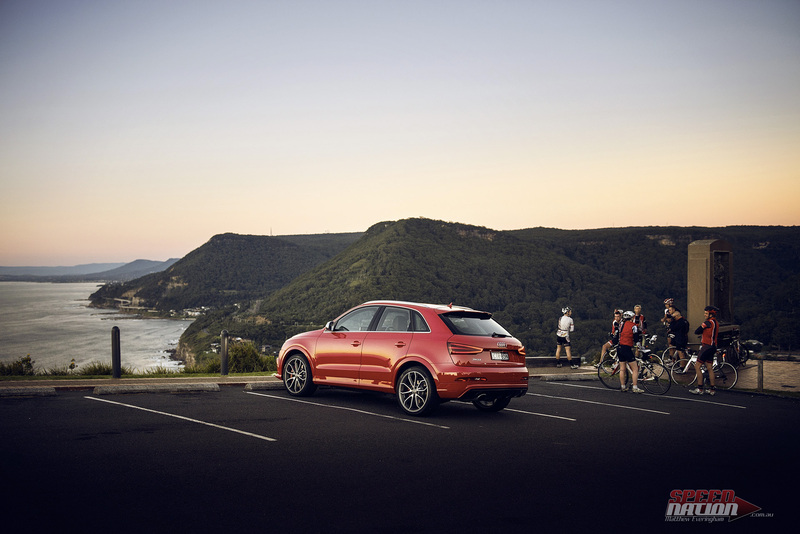 It’s the freshest addition to the Audi fleet, built to fill a hole in the market that most of us didn’t know existed. 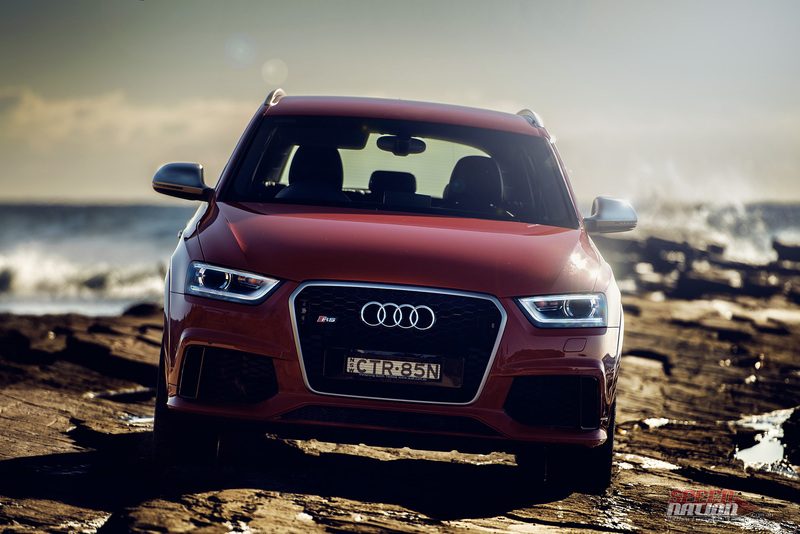 The high performance, compact SUV. That’s right, there’s now an official market segment that caters to people who can’t decide if they’d prefer a hot hatch, a convenient SUV for completing day-to-day tasks, or a super sports car for some spirited driving. I’ll admit that the concept did take some time for me to grasp, but looking at upcoming offerings from other manufacturers, it looks as though it may be the next battleground that car builders go all out in. 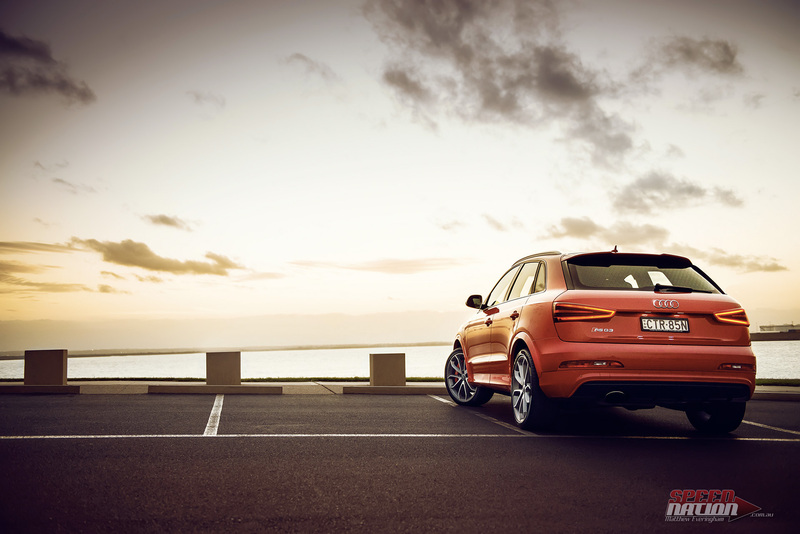 Mercedes have the AMG GLA45, the Porsche Macan fits the bill and BMW’s X1 and X3 are just screaming for an M logo. Surely others will also follow the trend if there’s an audience with open wallets. 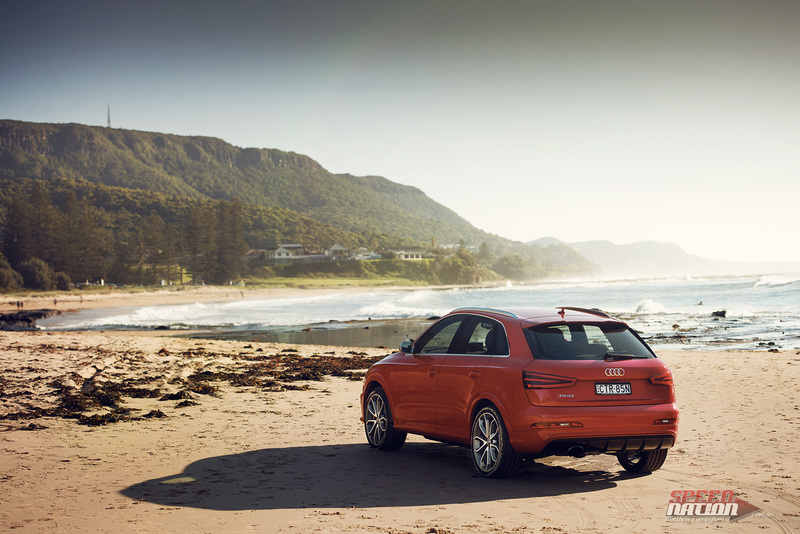 My main concern was if the car could deliver all the experiences it alludes to, or if the extreme levels of compromise between 4×4 and sports car would handicap the car. Will it be a Jack of All or a Master of None? Overall, my experience with the RSQ3 was positive. Sure, it was obvious at times that this car is built around compromise and isn’t focused on any one thing, but the ability switch from a comfortable luxo-barge that almost self drives in heavy traffic to a powerful and well handling sports car through some twisty roads, all with the option to go adventuring off tarmac at any time has a lot of merit. The external styling was best summarized a friend’s passing comment: “It kind of looks like a wombat…” What has been seen can never be unseen! 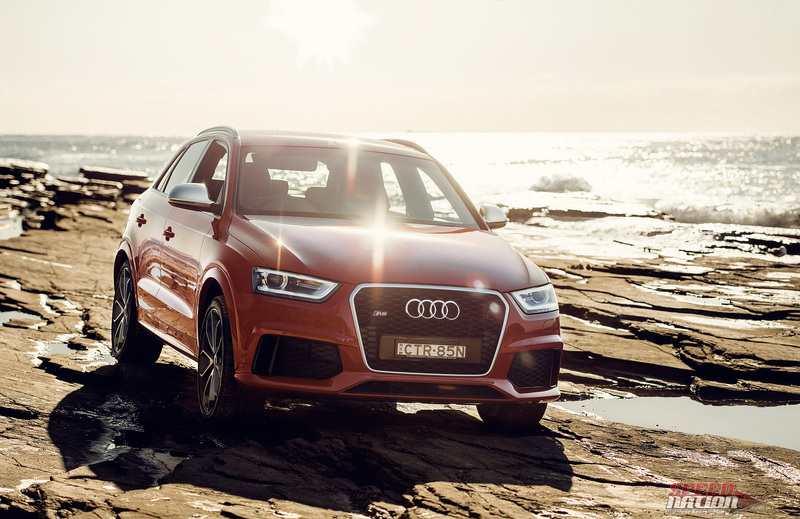 From the front and rear the RSQ3 is a very attractive vehicle, especially in the RS model’s exclusive Misano pearl effect red, but from the side it looks slightly awkward. The cross-over trade off is painfully obvious. It’s way too high to be a sports car, and sits much lower than you’d expect a 4×4 to be. 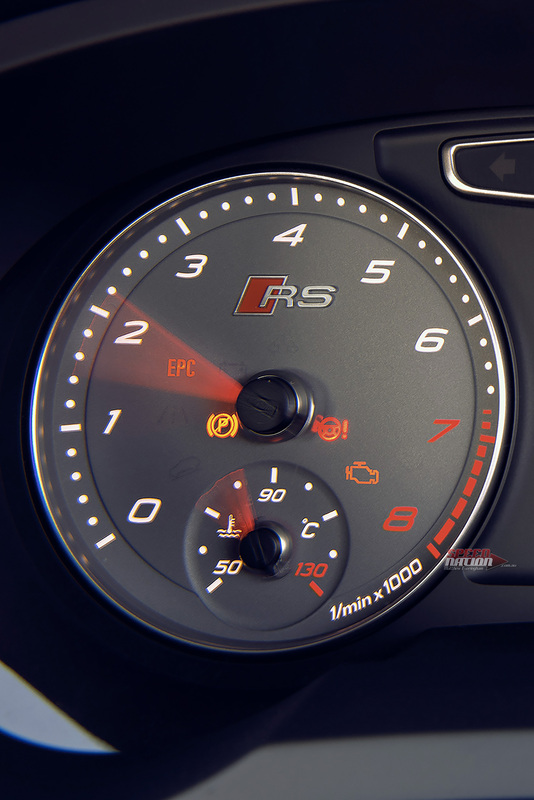 The RS’s aggressive panel accents blend in with the rounder body lines. 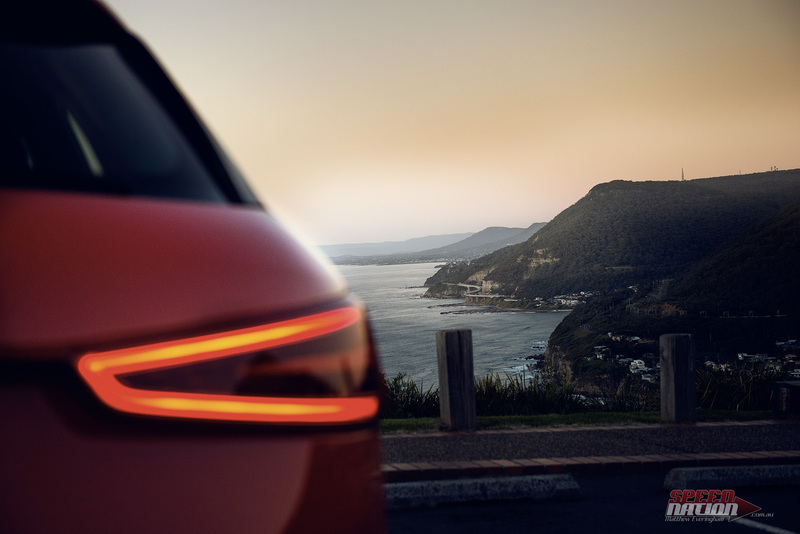 Audi’s shield grille is complimented by some trick new LED lights, the rear LED tail lights stand out for good reasons too. The more time I spent with the Q3, the more it’s weird stature grew on me. It isn’t ugly, it’s just different. Like a wombat. And just like a wombat the RSQ3 is a unique little critter, they’re both powerful, packed with plenty of character and tenacity. It’s worked well for our furry friend, he’s one of our most loved national icons. 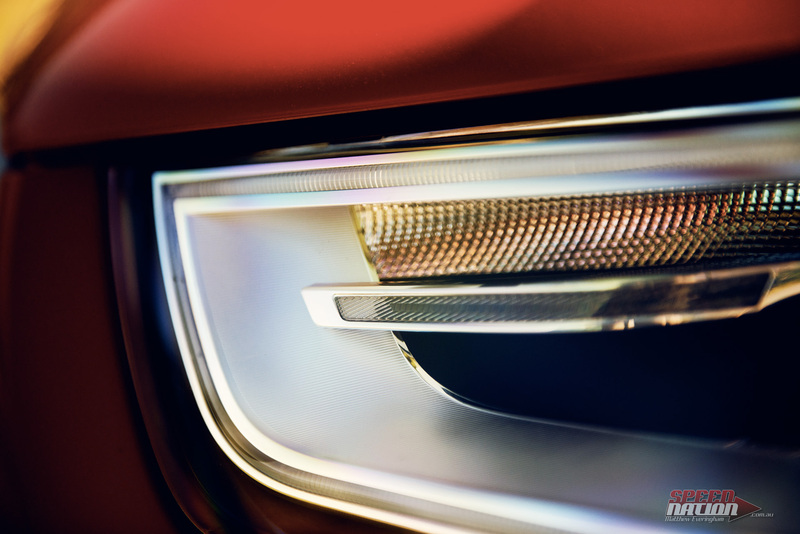 Only time will tell if it the RSQ3 and the High Performance SUV category will take up a similar role in our hearts. 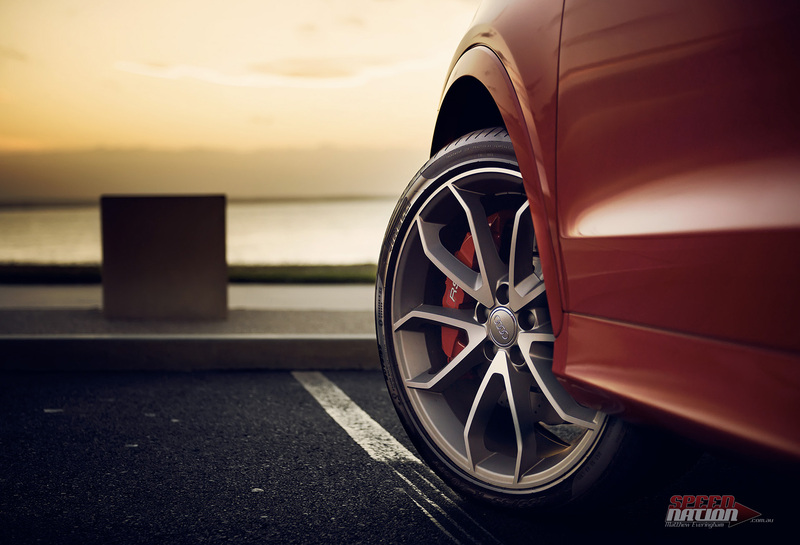 The performance-driven enhancements that are noticeably different to the regular on-looker include sharper styling lines, 20″ rims, 6 pot callipers, wave rotors and lowered ride height. These RS-spec additions make it pretty clear that this is not your standard SUV run-around. Overall, it’s about as attractive as a wombat can be. When comparing apples to apples, I’d rate it the most attractive small SUV on the market today. 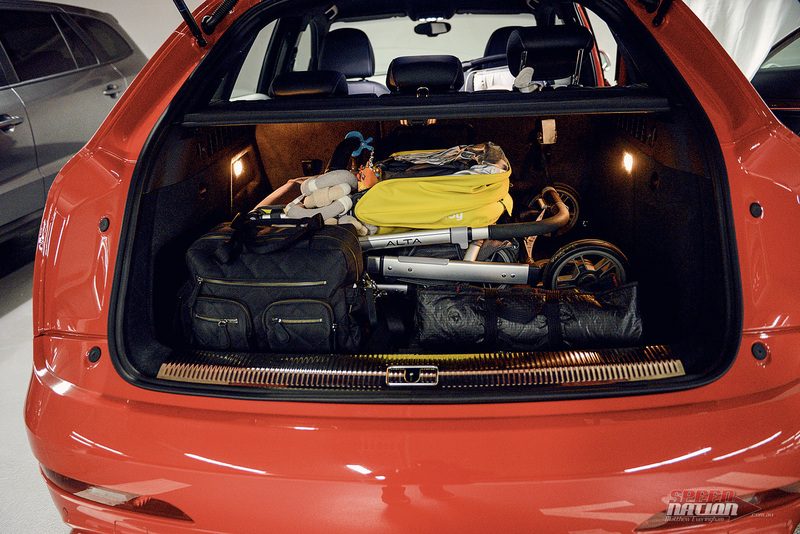 Ze German’s practicality plays a central role in the Audi interior. Important functions are all just a finger’s reach from your steering position. The less important the feature or gizmo is, the further away it is from your driving position. It’s such a simple system for console placement but it works exceptionally well! 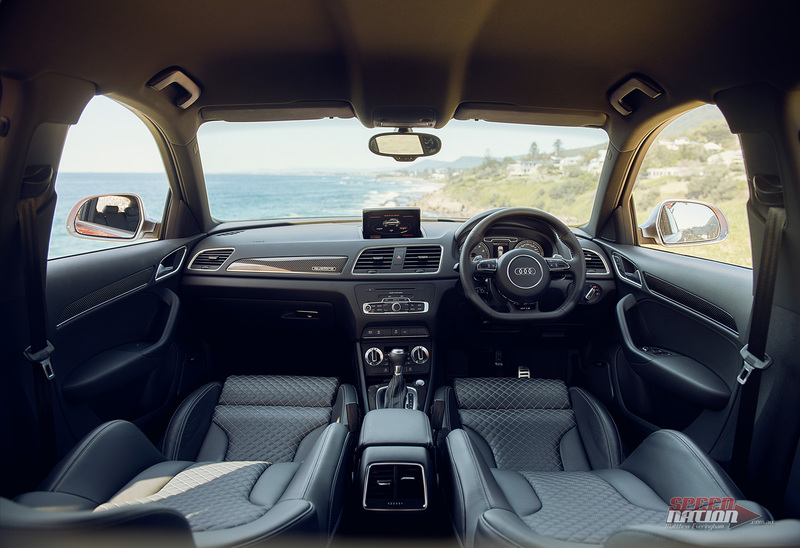 The RSQ3 is one of the most comfortable, well built and intuitive interiors I’ve sat in. In addition to the well thought-out layout, the build quality is evident in every corner, button press and stitch. The genuine carbon inlays and what I’m pretty sure are real aluminium bezels complimented a very well-executed interior. As you’d expect, the seats had complete electric control with options for height (including separate controls for the front and rear of the seat’s base cushion), seat distance, seat backrest tilt and also had 2-axis control for lumbar support. 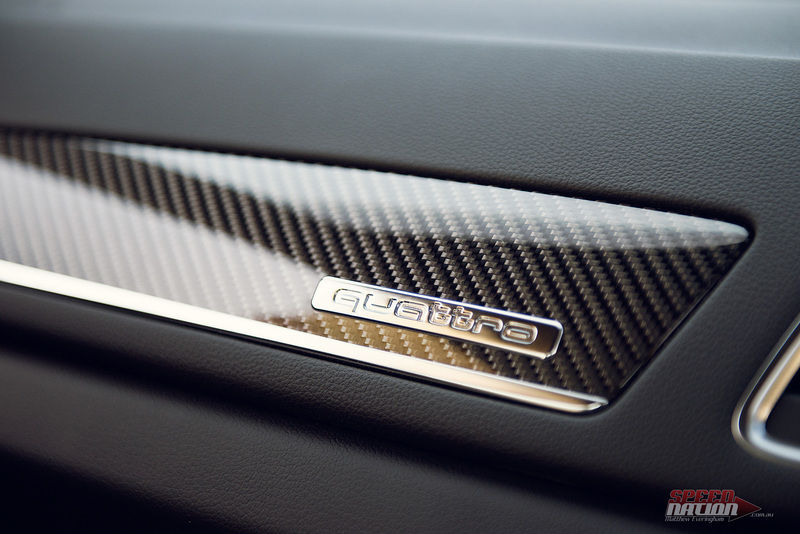 The seats are finished in fine nappa leather, the vehicle I was provided with included the RS Performance package which includes diamond stitching which brings an extra level of class. I felt strangely satisfied every single time I grabbed the steering wheel. I know it makes me sound weird, but the texture and the firmness all felt so damned comfortable and right in my hands.My only gripe, I did find the flat bottom of the wheel slightly annoying when I needed to shuffle hands quickly. I’m not sure if this is something I’d eventually get used to, but I didn’t seem to during the week with the car. Space wise, if you’ve got tall friends they’re probably not going to want to sit in the back, but if your main cargo is children and baby seats, you won’t have any issues. The boot space is deceptively large for such a small car. I found there was plenty of room for all kinds of fun things. 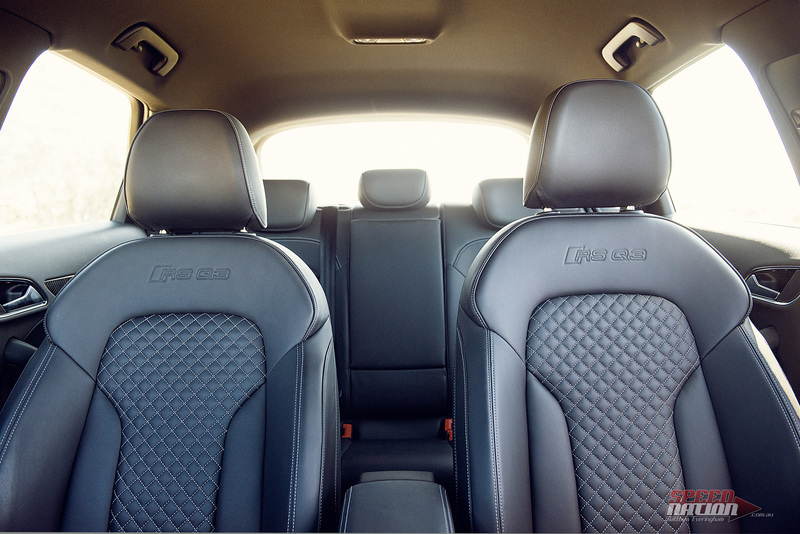 Practicality, luxury and quality. 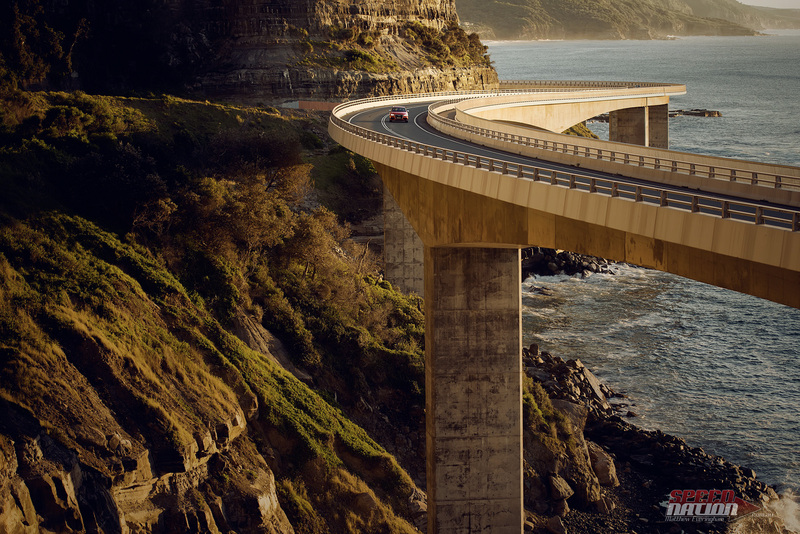 If you’re going to be stuck somewhere during the peak hour grind, this is the place to do it. 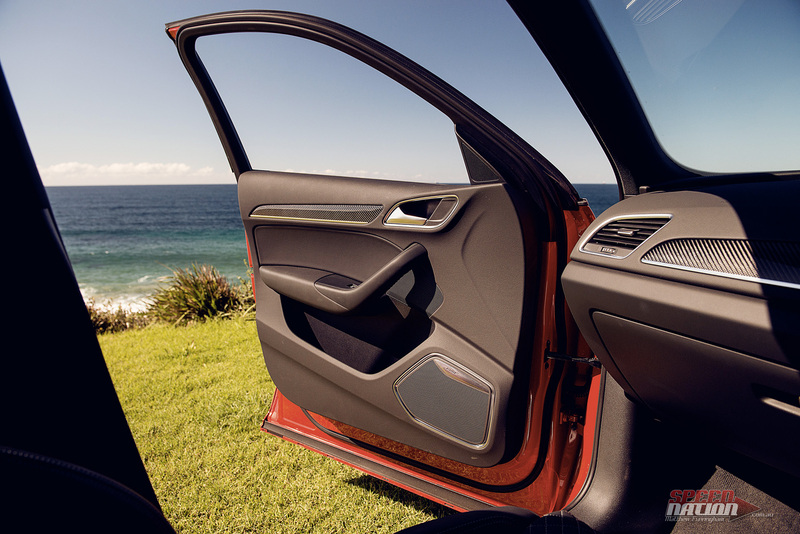 Apart from the sporty performance, which we’ll get to, I’d easily rate the interior as the 2nd best quality of this car. The centre dash features a 7″ ‘infotainment’ unit. This is used for navigation, radio, Drive Mode selection, on-board cameras and more. Important information is relayed directly to the driver instrument cluster. The only feature I couldn’t find was a coffee making facility. Maybe next year? After half hour of randomly flicking through options I’m pretty sure I had the whole thing nutted out. 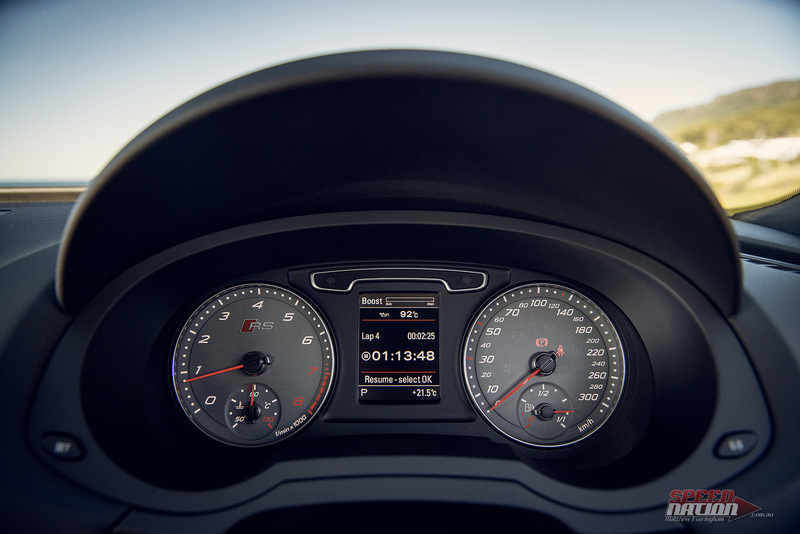 Most functions were easy to find and even easier to select once I’d found the right menu.My favourite function for the driver display was the lap counter. Did you know it takes roughly 200 seconds from ordering til your first sip of coffee? Now you do! As part of the RS Performance pack, the car I had was equipped with a 465W, 14-speaker Bose stereo as standard. Clarity was incredible and the depth was impressive considering I left my 2 15″ sub-woofers somewhere in my distant past. My ears were ringing long before I could detect any distortion. 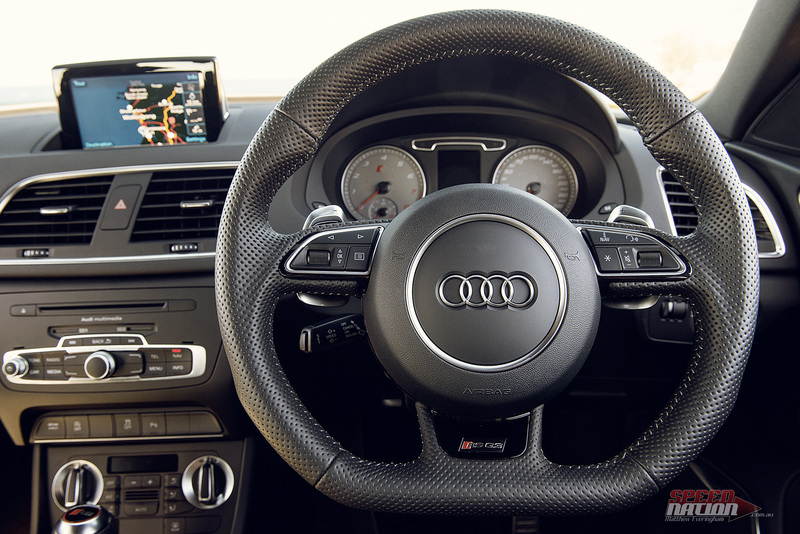 The car plays digital and analogue radio, media from SD Cards and Bluetooth devices. 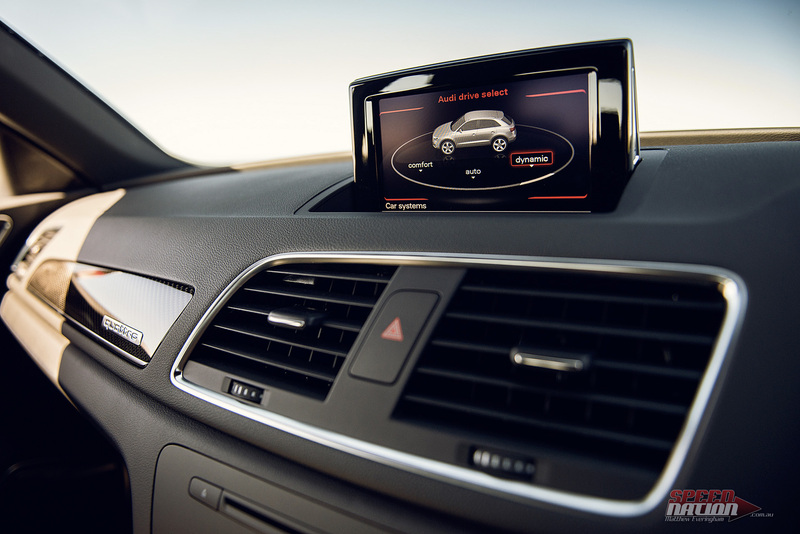 The navigation system is easy to use and intuitive enough that 5 minutes of clicking around will reveal its secrets. The navigation display integrated into the dash got a lot more use than I thought it would. It was super handy. The dash would display single upcoming directions while the main screen would show an overview of the trip. My only real interior complaint is more the shape of the car and not the actual interior. I felt as though my seating position was too high. Looking out of the car I felt like I was playing Gran Turismo with the roof view. Only about 1/3 of the bonnet was visible. 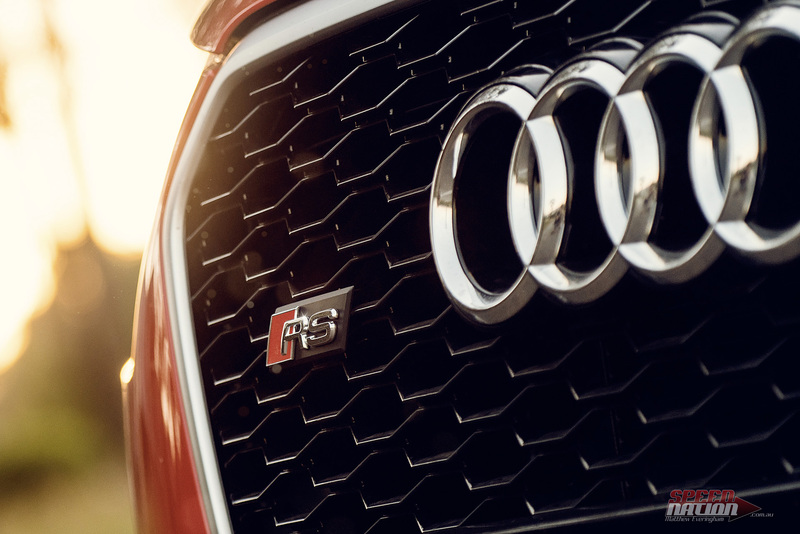 Audi have transplanted the 2.5l TFSI engine from its slimmer and shorter cousin the TT-RS. 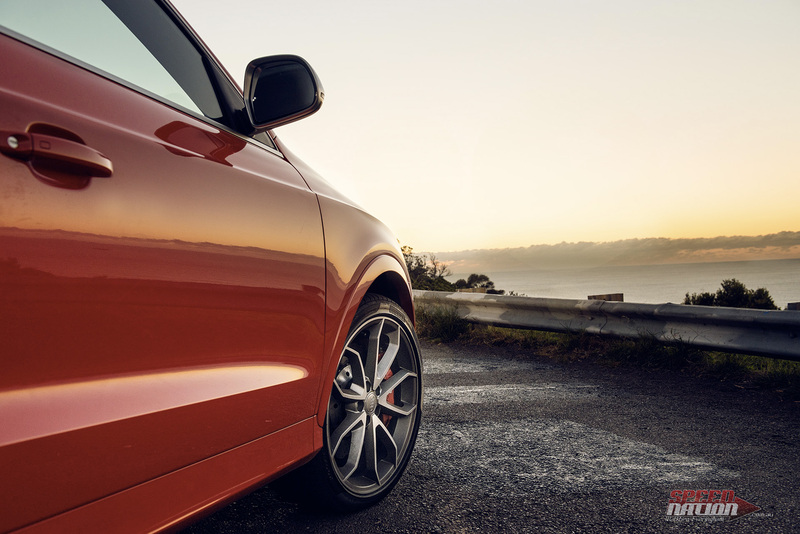 The 5-cylinder motor puts out a claimed 228kW and will get you from a standstill to 100km/h in 5.2 seconds. I tested it out, both alone and with a passenger, and their claim is solid. Not quite as quick as the rest of the RS family (all sub 4’s), but insanely fast for an SUV-styled vehicle. Most importantly, it’s plenty fast enough for some fun times behind the wheel! It also needs to be said that the 5-banger puts out an amazing note all the way through the rev range. 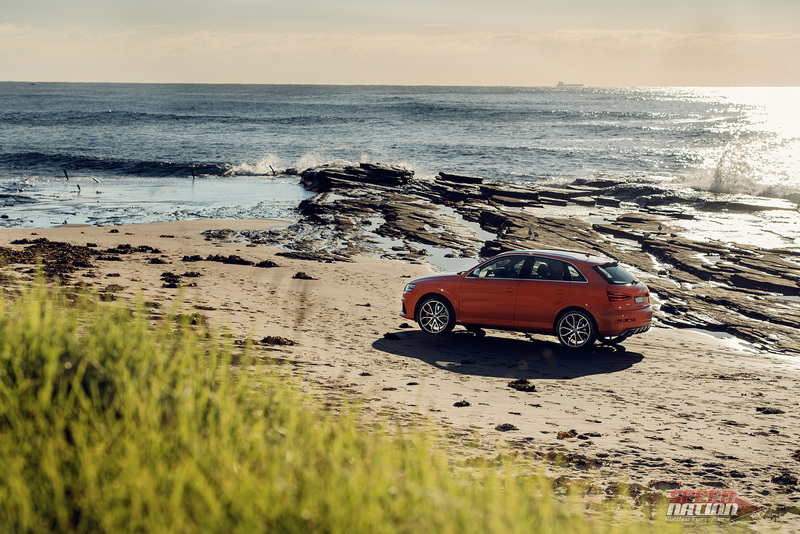 Whilst in manual mode (paddle or stick), I’d change a little higher than needed just to hear the pops and crackles as the 7 speed dual-clutch switched out gears, or bands, or whatever black magic is inside Audi’s new gearboxes. 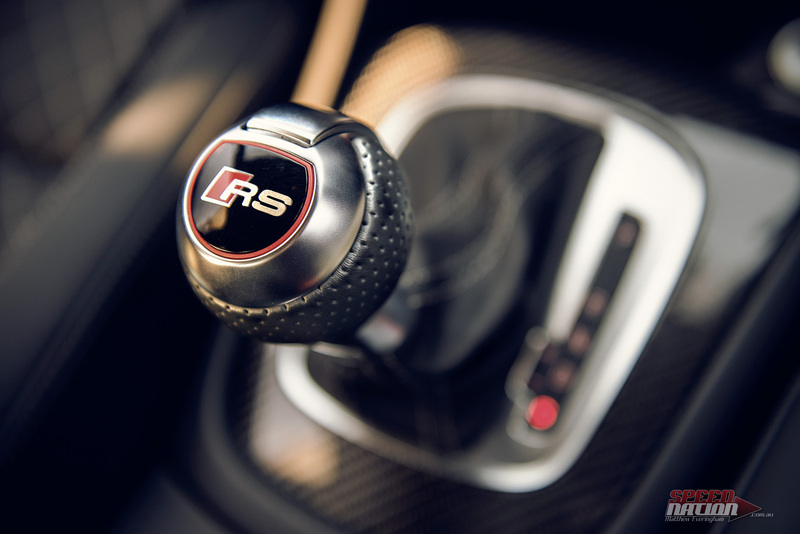 Drivers are spoilt for transmission shifting options with the choice of Drive, Sports or clutchless manual. Manual can either be through the conventional stick (which felt wrong: forward for up shift, backwards for downshift) or the paddles on the steering wheel.The automatic programming was generally very tight and responsive. The only time the gears felt slow or delayed was when you were cruising at a third- to half-throttle in traffic. As noticeable as it was, it’s not a deal breaker. Driving with the shifter in Sports ran basically the same programming as in “regular” Drive, except it’d let the car rev much higher before gears, and kept the revs higher than 3000 for most of the time. I found it shifting at annoying times through corners, but hey, that’s why it’s called auto!The manual changes sometimes felt a bit slow through the middle of the rev range, but if you’re changing that early it’s probably not an issue. Changing up high though was spot on, almost instant changes every time! I really enjoyed the responsiveness in manual mode. 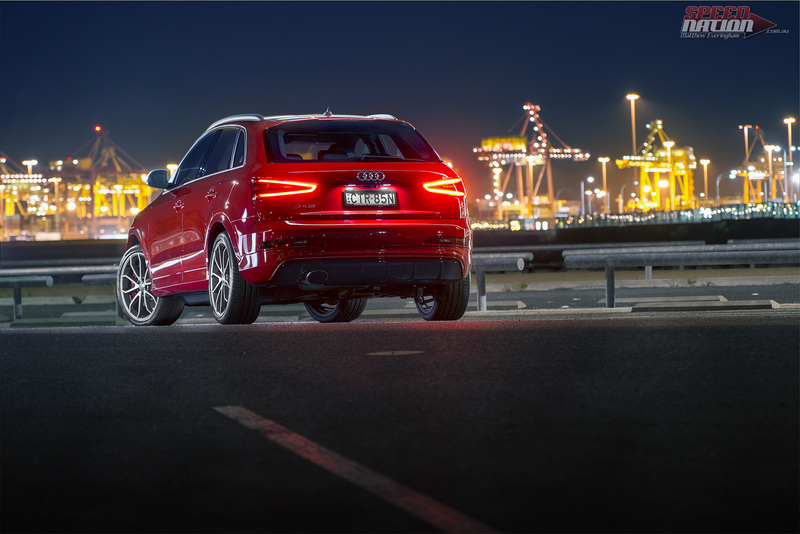 As part of Audi’s clever electronic black magic, you have two distinct handling options available, and yes, you can really feel the differences. 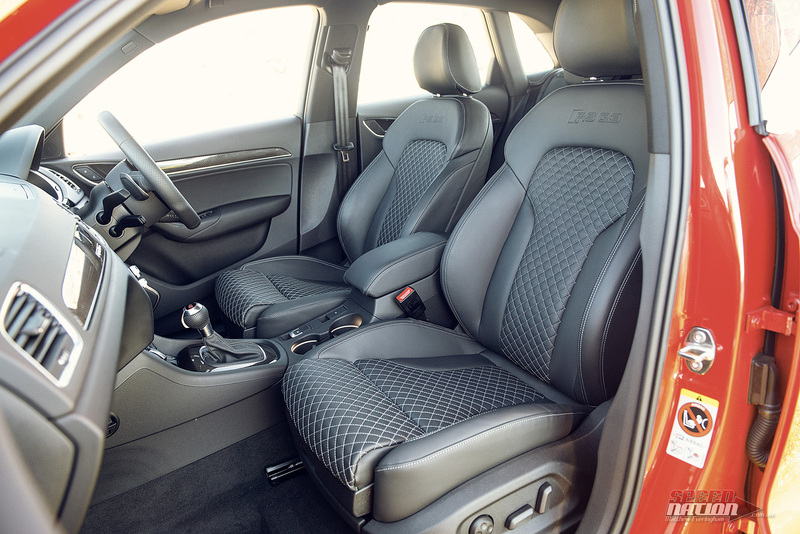 When you’d prefer a more comfortable drive around town simply dial in ‘Comfort’ mode. The suspension is noticeably softer, soaking up bumps but giving the vehicle a little more lean in corners. 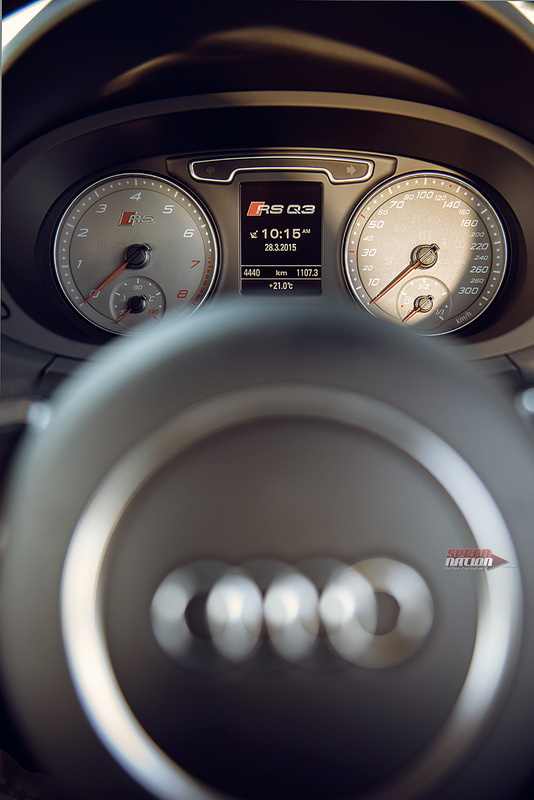 The steering dynamic changes, giving you a much lighter wheel. If you’d prefer some more spirited driving, there is a ‘Dynamic’ mode. Firmer suspension, less body movement through corners and a much firmer/heavier steering wheel help you get a better feel as you sail your way through the bends ahead. There’s also an ‘Auto’ mode if you’re happy enough to leave those decisions to the computer. Being such a different car to the other RS models available, it’s not really a fair to give a direct comparison, but since it’s sharing the badge it needs to be covered. 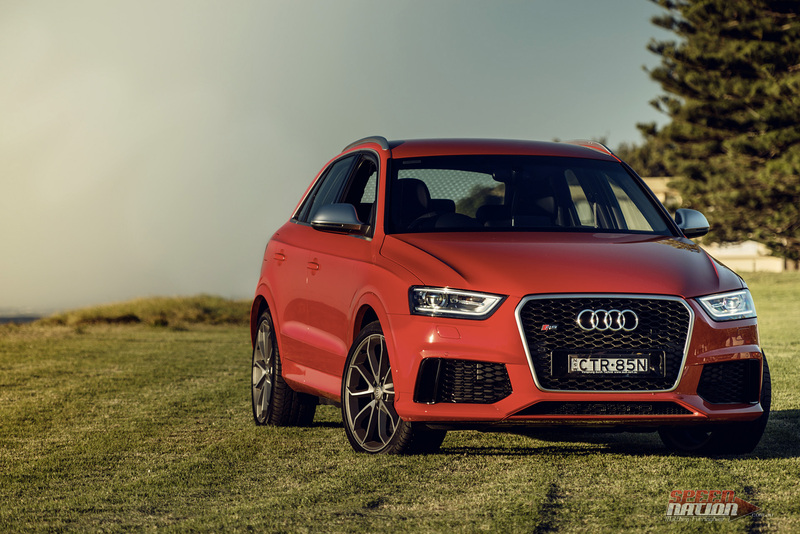 The RSQ3 does not handle like a pure sports car, but it does have amazing handling for an SUV. I did find the car a bit boaty when stopping and starting in either mode. The Quattro all wheel drive system worked flawlessly. It felt like there was a front wheel bias through some corners but it wasn’t an issue. The car would push, pull and grip its way around what ever corners you threw underneath her. You’d really have to be doing something beyond stupid or be facing some incredibly bad conditions to have any issues with the Quattro system. Electric steering is something that’s hanging around, so we may as well get used to it. Coming from a mechanical steer (Evo IX) to anything with an electric system makes the level of disconnection between you and road very apparent. 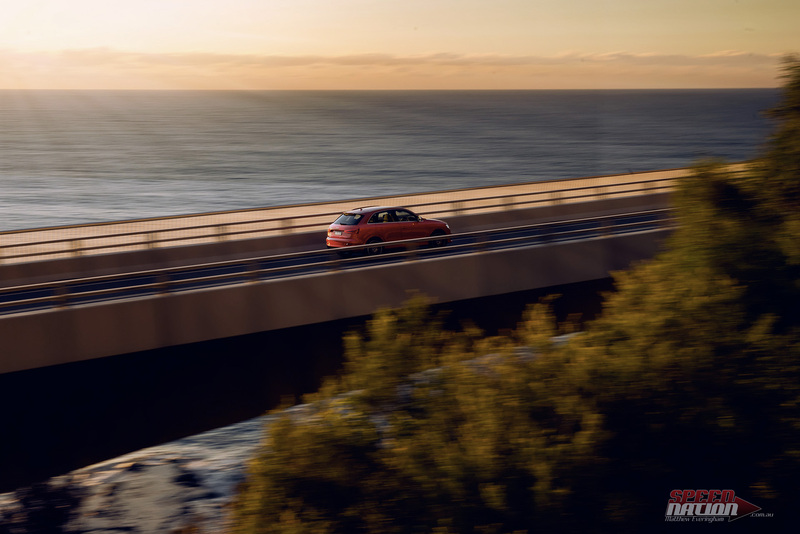 It almost makes it all feel more video game and less real life, it detracts from the driving experience. The lack of feel plus the seat/bonnet set up almost made me feel like I was playing Gran Turismo 800 and not actually driving. But after a couple of days with the car I’m pretty sure I had forgotten what I was missing and it all felt pretty normal again. I found the steering in both modes to be helpful, the lighter steering made city driving so much less of a chore, and the dynamic mode had the right level of weight and input. 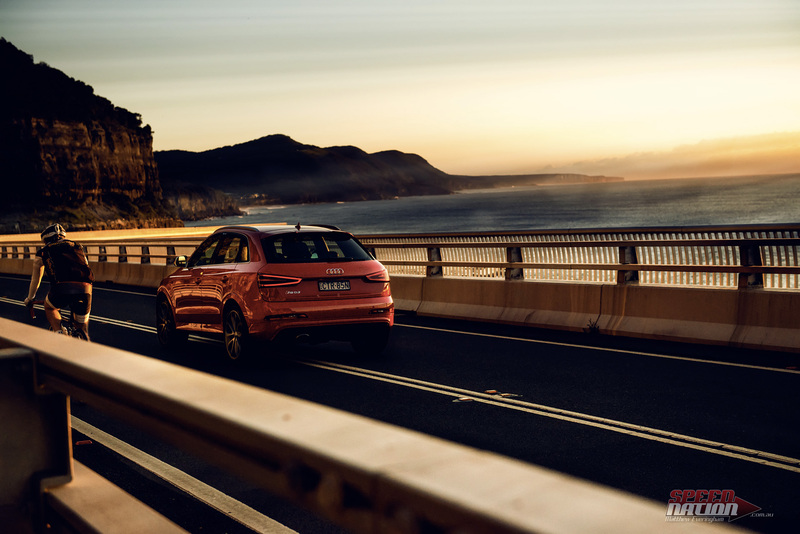 For an SUV, it’s amazing. For a Sports car, it’s lacking. For a wombat, it’s very well mannered. If you’re looking for a (very) sporty SUV with plenty of options, this is a solid performer. If you’re looking for something to get your kids to football training in record breaking time with a full boot, or if you like to have your options open, this vehicle was made for you. If your looking for a dedicated race car, or off road explorer, this is probably not the car for you. 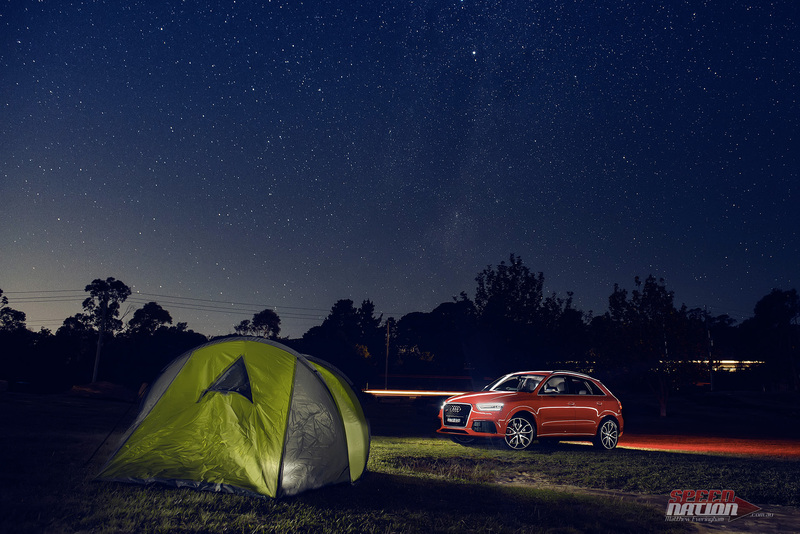 If you’re looking to dabble in all of the above though, the RSQ3 will take you where you want to go. In supreme comfort too. Handles exceptionally well for an SUV. Semi Auto Box works well. Kind of looks like a wombat. Swing Your Door, Not Your Jaw..
Read the entire article mate, awesome work. Need more reviews like this, i know from the business I come from reviews seem to be more about quantity over quality, as well as the noticeable disconnection between the photographer and the writer as separate entities.